Channeling their inner Chris Pratt! Universal’s ‘Jurassic World’ is breaking records left and right, the Internet is obsessing over the guy with two margaritas, and now there’s this! Zookeepers around the world are hilariously recreating Chris Pratt’s famous raptor training scene from the movie, and posting plenty of photos online. In the box office hit, Pratt’s character, Owen Grady can be seen training a group of velociraptors to obey his commands, and the zoos all over the world are now doing the same, but with slightly less dangerous animals like penguins, otters, rhinos, pigs, dolphins and walruses, among many others. 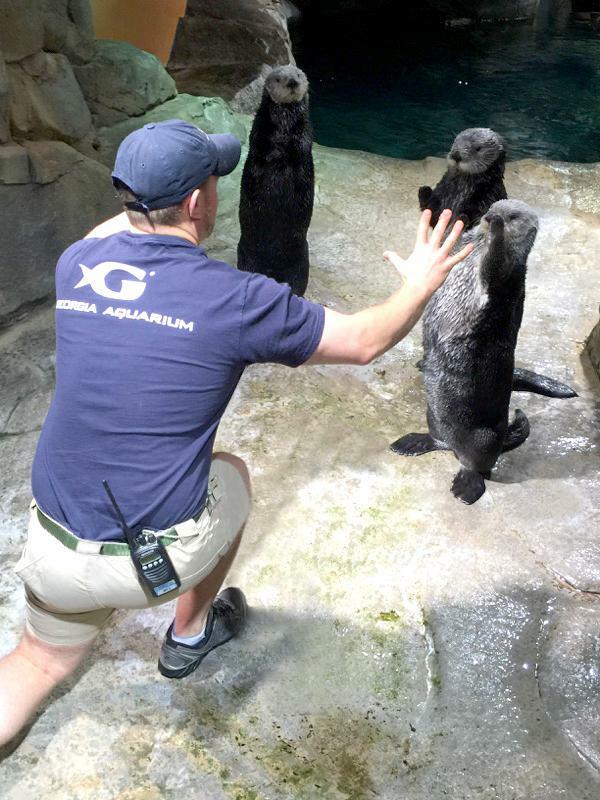 The zoos are sharing funny and adorable photos with hashtags #JurassicZoo, #PrattKeeping and #ZoorassicWorld. The Hollywood superstar noticed the recreations soon enough and tweeted that they were “absolutely awesome”.